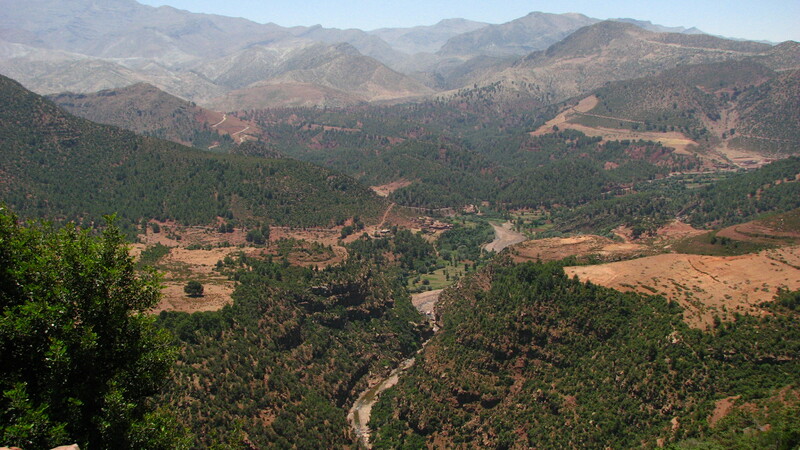 After breakfast with a view, we left southern Morocco behind and made our way to the Atlas Mountains. 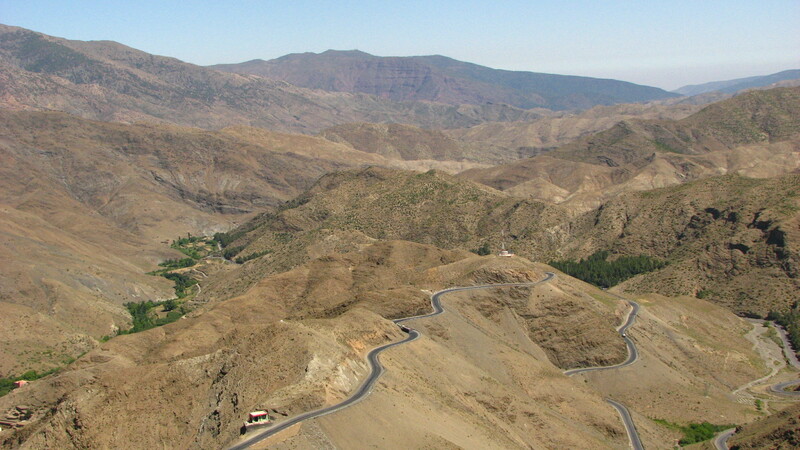 And that involved crossing the Tizi n Tichka Pass. For those who may suffer from motion sickness, this is certainly going to be a difficult journey, and I highly recommend travelling with a private driver for safety purposes as well. 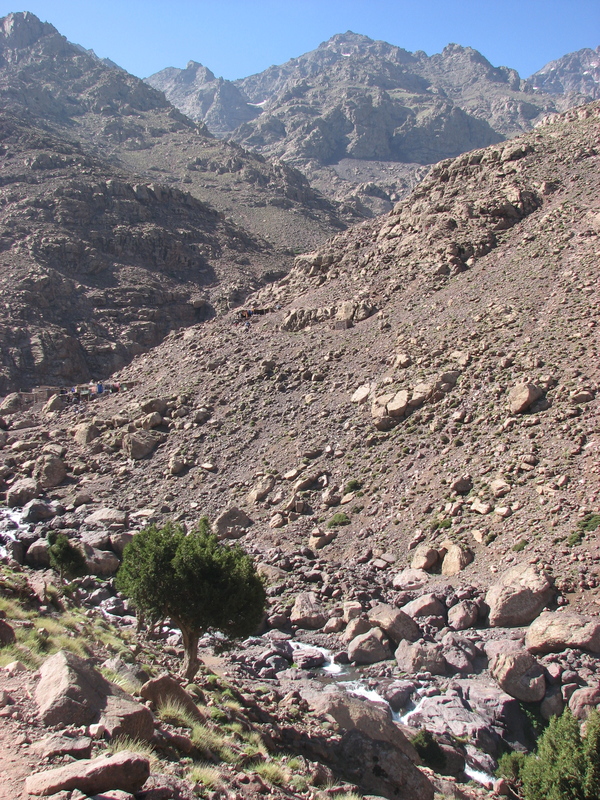 However the interesting and colourful landscapes that changed en route kept the journey even more exciting. 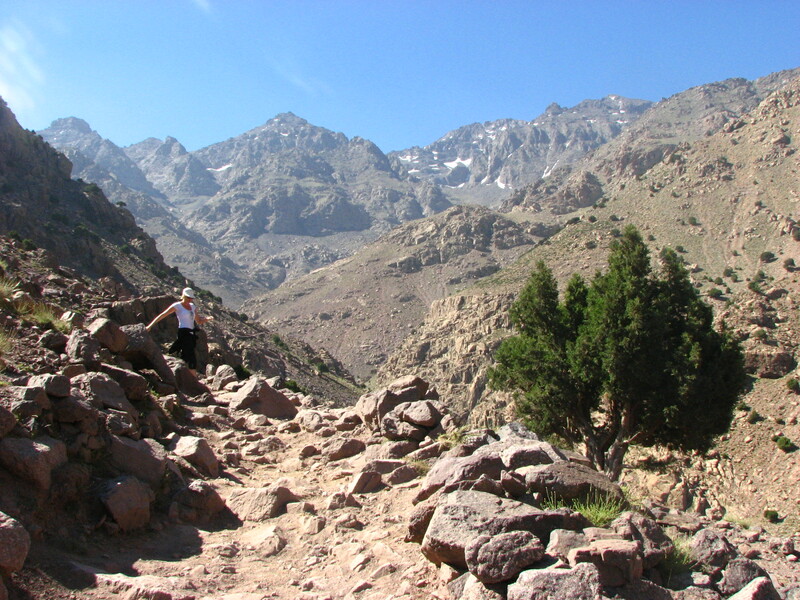 Eventually we arrived in Imlil in Toubkal National Park and trekked up to our accommodation for the evening and some hiking the following day. While I do love it here, it is rather busy. Our visit was no exception as we set out on a morning hike. 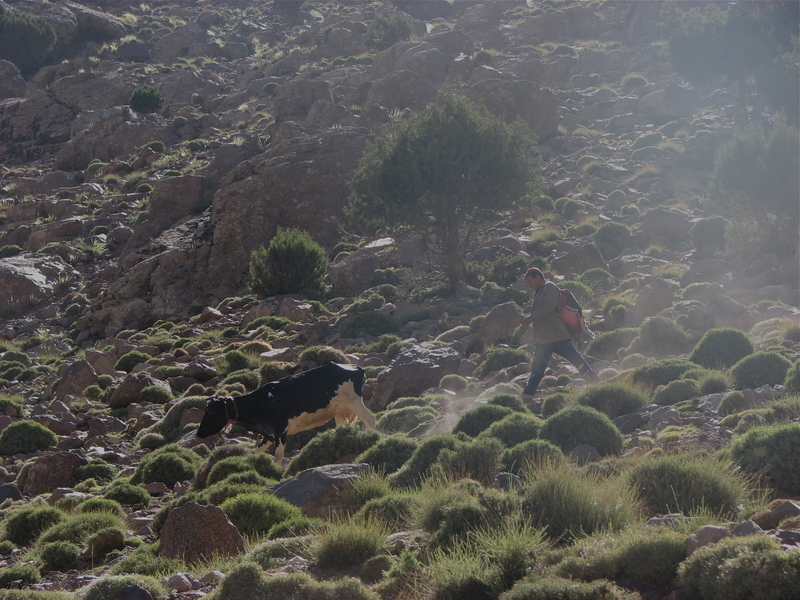 Not just with locals carrying gardening equipment, herding cows or leading mule caravans, but with trekkers as well. Lots of trekkers. 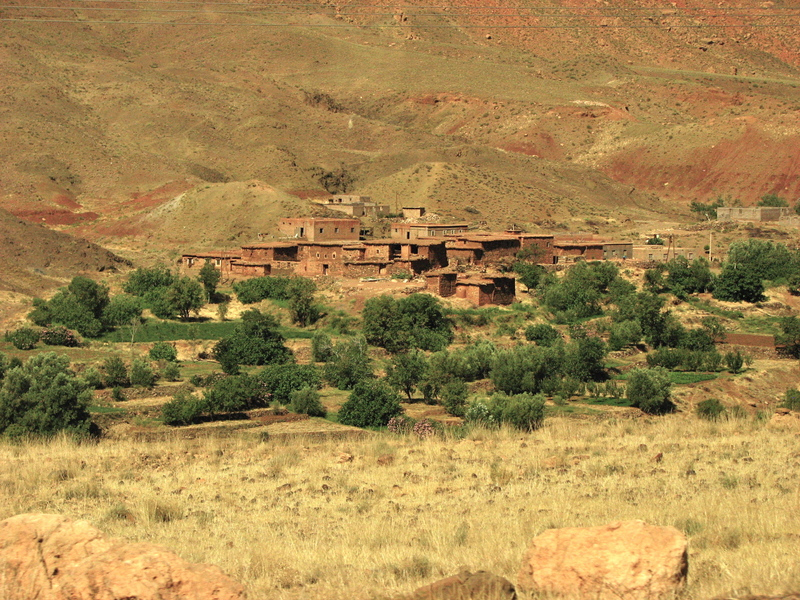 But the views are gorgeous and it makes for a lovely day out from Marrakech. And so I return. Regularly. Because even city girls need a day out from time to time.